Joe DeLuca is a vice president and is publisher of both the Tampa edition of the Times and TampaBay.com. He has overall responsibility for leading strategic growth initiatives in Hillsborough and central and east Pasco counties, and he also serves as publisher of tbt* Tampa Bay Times, the company’s free daily tabloid. His current leadership portfolio also includes Consumer Marketing and Operations. He serves on the company’s executive team and board of directors. 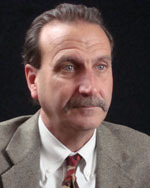 DeLuca originally joined the Times in 2001 as Director of Operations and was named a vice president and director of Operations in 2005. Prior to joining the Times, DeLuca was production director of the Hartford(Conn.)Courant, where he also managed the newspaper’s commercial printing division, including the printing ofInvestor’s Business Daily for the northeast region. He is a graduate of the University of Hartford with a bachelor’s degree in communications. Joe DeLuca, Tampa publisher and V.P., TampaBay.com publisher, says to run a successful online news and information service at a newspaper you “need to be able to evaluate a profitability path and marshal the organization to pursue that.” DeLuca says there is “no silver bullet” to ensure the economic viability of newspapers. “The basic business model remains the same,” says DeLuca, but “there will be many different revenue streams” to support it.